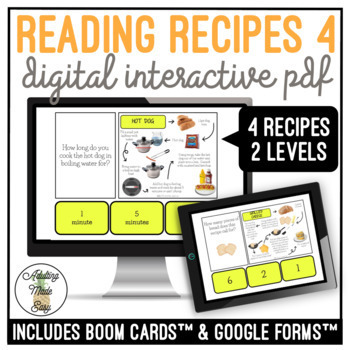 139 interactive questions - 4 different recipes- 2 visual & differentiated levels NO PREP, PAPERLESS, differentiated digital interactive activities that ask the reader to confirm measurements, ingredients, name of recipe and number of ingredients...etc. This set of recipes cards are Hot Dog, Peanut Butter & Jelly Sandwich pb&j, Grilled Cheese, and Quesadillas using real images. Great way to introduce cooking lessons or make a shopping list before a trip to the grocery store! -View the "PREVIEW" to test out the interactive PDF by clicking on the START ARROW button. 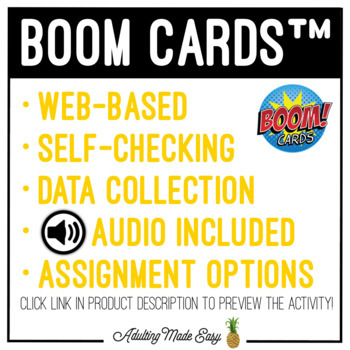 -For use on Smartboard, Computer, iPad/Tablet, or Phone. -Click answers with a mouse, or use a touch screen! 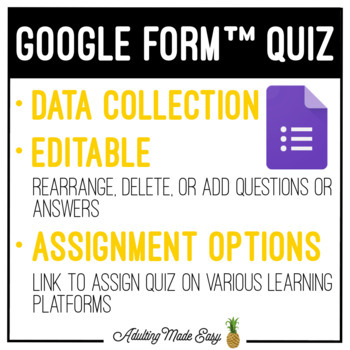 -Download a free PDF reader to use this activity. -If you are using an iPad or iPhone, I recommend opening in iBooks.